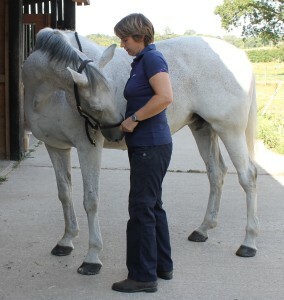 A professional physiotherapy service for horse owners, riders and small animal owners. R S Veterinary and Rider Physiotherapy aims to provide a first class, professional physiotherapy service to horse owners, riders and dog owners. It is owned and run by Rebecca Sedgwick, an ACPAT (Association of Chartered Physiotherapists in Animal Therapy) registered Chartered Physiotherapist and member of the RAMP (Register of Musculoskeletal Animal Practitioners), who provides a mobile service for all types of animals from competition horses to family pets. Rider assessments are also provided for any level of rider to enhance comfort and performance. Based near Southampton and the New Forest in Hampshire, services are provided in the counties of Hampshire, Dorset and Wiltshire. It is a requirement by law that animals are only assessed or treated by a vet or with veterinary authorisation. Permission will therefore be requested from your vet prior to a consultation.